This new blog will show you everything you need to know about word-of-mouth referrals for hair and beauty businesses. First, I’ll show you why recommend a friend systems are more important than ever for salons, spas and clinics. Then, I’ll share some tweaks and tricks to skyrocket your referrals both on and offline. Are recommendations old hat in today’s digital world? I’m surprised by how many hair and beauty businesses dismiss word-of-mouth referrals as obsolete dinosaurs. 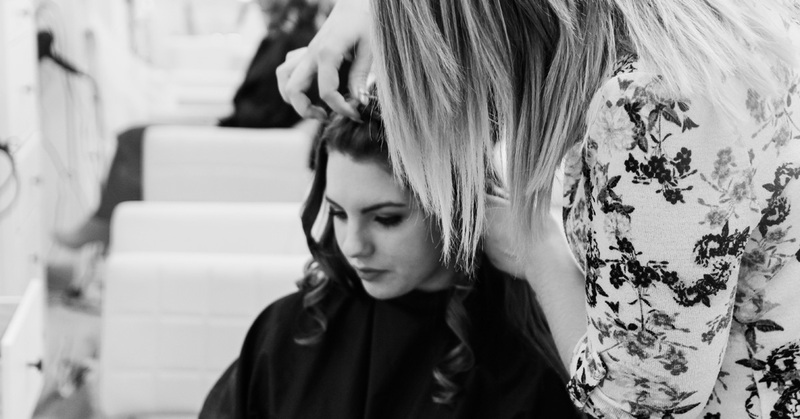 Yet often, what finally convinces a new client to give a salon a try is…… a word-of-mouth recommendation. It’s simple marketing. And free. First, decide what you want to achieve. Sounds simple enough, but it’s a step many salon owners overlook and that’s an expensive mistake. 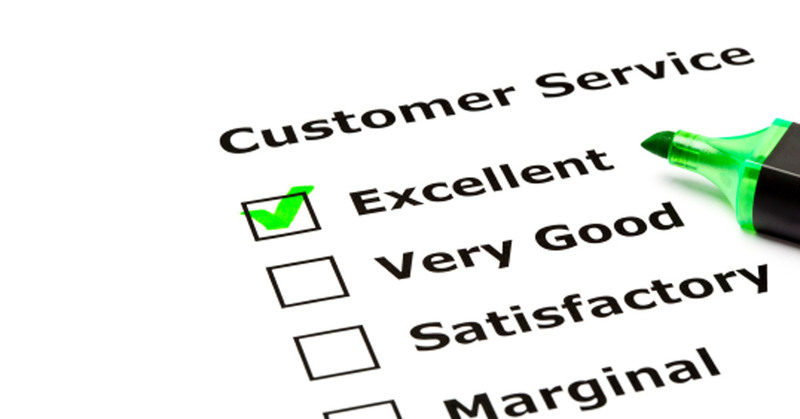 Ask yourself do you simply want ‘more clients’ or do you want to ‘increase profitability’? I’m guessing profit is your driver, in which case, think carefully about the type of new client you want people to recommend. All new clients are not equal. Filling your salon with low grade, difficult-to-service new clients isn’t the best way to boost your bottom line. You want the highly profitable ones who love the type of treatments and customer experience your business offers. So forget about trying to appeal to everyone with your referral programme and instead, focus on attracting your ideal hair or beauty client. Your ideal client is the ideal fit for the services and client experience your salon or spa offers. Interested in learning more about your ideal client? I look at this in depth in my blog here. This can be an enormous stumbling block to unlocking referrals. Yet many salon owners I speak to seem surprised when I mention it. Question: What are you really asking clients to do when you ask them to refer? Answer: You’re asking them to do your sales prospecting for you. You’re expecting them to do one of your hardest business tasks. They have busy lives yet you’re asking them to do the hard work. Their friend may have a dreadful experience. Or just a so-so one. And that reflects badly on them. They take all the risk and for what? £10 off their next visit. Is it surprising your clients aren’t referring? A couple of years ago I enthusiastically recommended a hotel in Suffolk to a couple of really good friends who were going through a rough patch and needed a quiet weekend break. I loved it and had stayed a number of times. But, to cut a long story short, they had a rotten time and hated it. The place had gone downhill, the rooms were starting to look shabby (and not in a chic way) and the food and service were grim. They were embarrassed. I was embarrassed. I’d taken a risk and it had backfired. 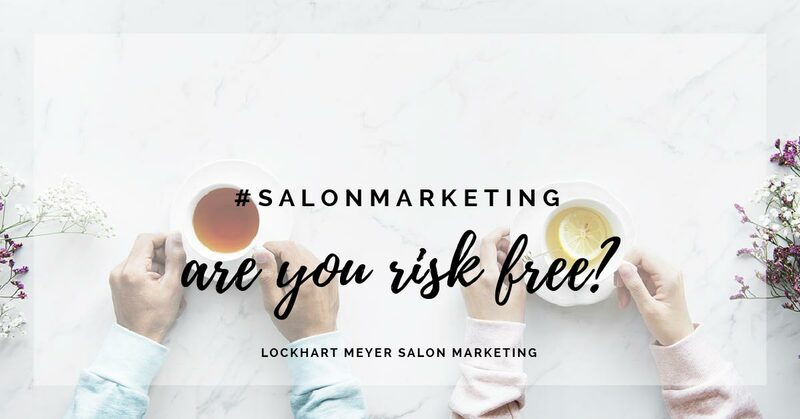 Is your salon brand ‘risk’ free? People will only share brands that they trust. They won’t risk their reputation by sharing an unreliable or poor quality brand. So ask yourself – can referrers trust your salon brand? Can they trust you and your team to give their friend a wow experience? Is this why your clients aren’t recommending you? Don’t add ‘risk’ with your terms and conditions. 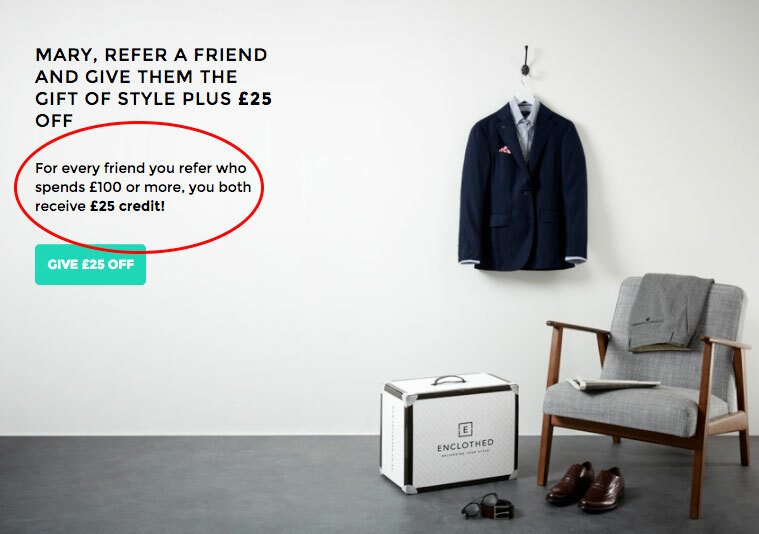 Enclothed’s offer (below) means your friend has to spend at least £100 or the company doesn’t pay up. Why stick your neck out and recommend the brand if there’s a fair chance your friend may spend less than £100 and you both lose out? Why risk it? Why are so many hair and beauty businesses tight about rewarding recommendations? You’d expect to pay a salesperson and that’s exactly what you’re asking your clients to do – sell your salon to their friends. Dangle the bait. Don’t be mean. Just think about the lifetime value of that recommended new client to your business. So you’ve set your referral campaign goals, removed the risk for the client and decided on a generous incentive. What next? Too many businesses mistakenly create referral systems that focus on the tools, rather than the customer. Remember when we were setting your goals at the start of this blog increasing profitability was the aim rather than just getting ‘more clients’. To achieve this goal you need to ask the right hair and beauty clients to recommend you, not all of your clients. So who are the right clients to endorse your salon? Why these? Because they are your ideal client and you want more like them. These ideal clients are likely to have friends and family with similar interests, budgets and backgrounds – your perfect target audience. I think asking someone for a recommendation (we’re not just talking about a review here) is very personal and for best done face to face. You can’t beat a Recommend a Friend card handed to a delighted client by the therapist/stylist themselves. Keep the front of the card on-brand, eye-catching and friendly like this one from Heist Studios. Pop full terms and conditions on the reverse along with space for the names you want to capture. ‘Terms and conditions apply’ is not a phrase I’d use as I think it sounds like there’s a catch. Much better to be upfront and transparent. I’d always ask the therapist/stylist to ask for a recommendation (rather than reception) as they have a personal bond with the client. Understandably, many people don’t like asking so spend time educating your team, explaining why referrals are so important to building their column, growing the business and increasing profitability. You could use this blog as the base of a team referral session or for 1:1s. And yes, you have to keep prompting them constantly to ask for recommendations. Salon owners are always telling me their team forgets after a few weeks – sorry, but it’s the same as retailing, you have to constantly remind them. Monthly competitions work well with a prize for the team member with the most referrals. Having it monthly means frequent prizes which is more motivating. Think about awarding a runner up prize if you’ve a therapist/stylist who always wins to keep the rest of your team on-board. I cover tracking your team and monitoring their results later in this blog. Advertise your introduce a friend offer on posters, wall graphics and strut cards. If you’ve salon TV (digital signage) include it on that (try Mutu for digital signage they are hair & beauty industry specialists). Pop a reminder on your appointment cards and other printed materials. Educate your team (I covered this earlier). Include a reminder at least once a month about the offer. Consider advertising to your Likes to boost the Reach. 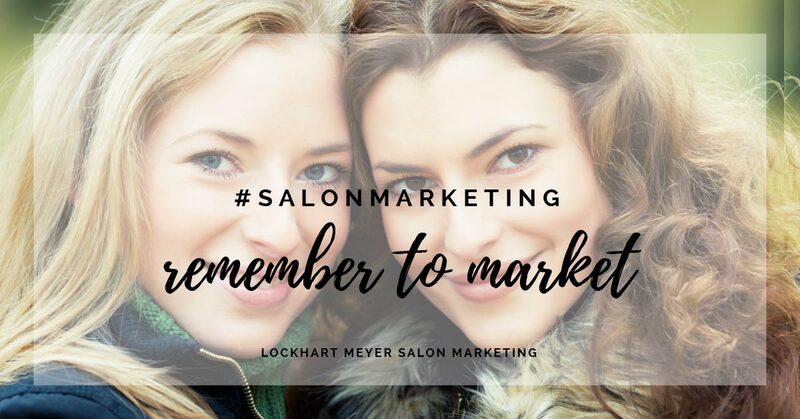 Encourage clients to post salon selfies on their social and spread the word to their friends. 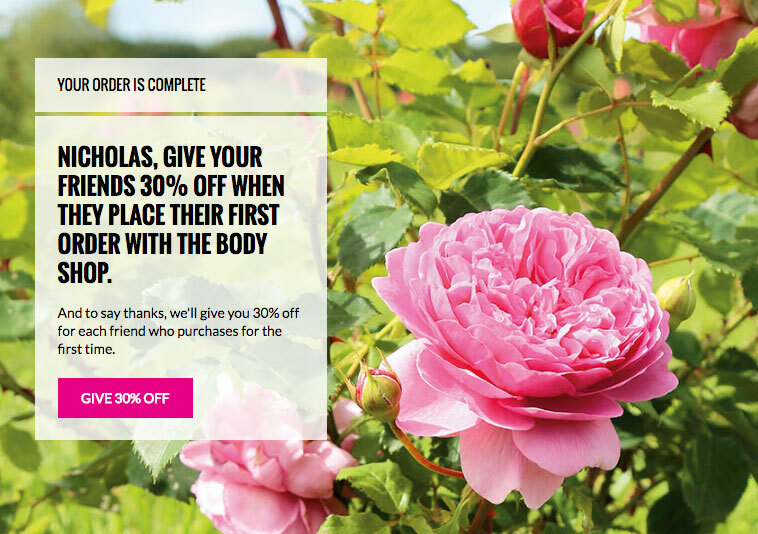 Create a dedicated offer page which you can link to from social and email. Yes, you have given your client a monetary thank you, but make more of this marketing opportunity with a personal touch that shows you really appreciate their recommendations. This is especially important for frequent and regular referrers. Do something that makes them feel special. Surprise them with flowers or fizz, upgrade their treatment, invite them to a special event or give them a gift of their favourite product. Just show you care. We all like to feel appreciated when we put ourselves out for someone. I find many salons set up a scheme and then forget about it. Set up monthly or 4 week monitoring either through your salon software reports or manually. What exactly are you tracking? Look at individual therapists or stylists not just the big picture. Your overall results may be distorted by one highly performing individual or a couple of team members who aren’t getting any referrals. So plot each person’s results, month on month, and you’ll soon discover patterns and any problems which can be chatted through in 1:1s. How many referral cards they gave out? How many friends came for a 1st visit from these cards? How many of these returned for a 2nd visit? How many returned for a 3rd visit and become loyal salon clients? 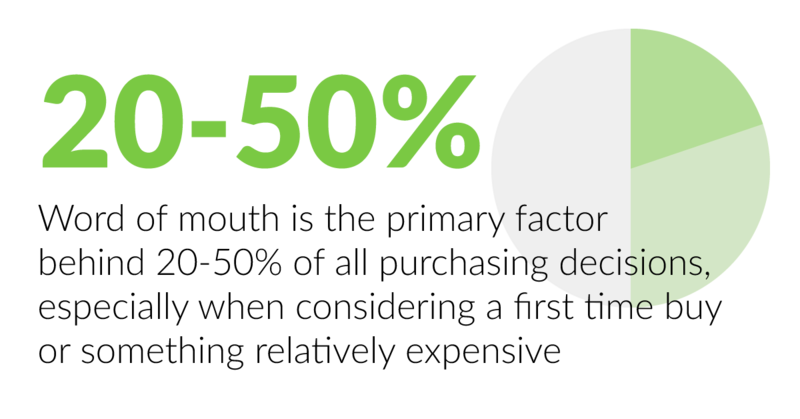 It’s important not to stop measuring after their 1st visit as this is the discounted appointment. You want your team to wow these new referrals and convert them into long term hair and beauty clients. If a stylist/therapist continually fails to convert that 1st appointment into a 2nd and 3rd appointment you need to ask why. The stats speak for themselves. It may seem old fashioned marketing but going back to basics is probably your best source of new clients.